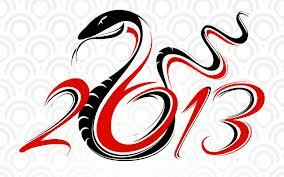 On Sunday, February 10, we said goodbye to the year of the dragon and hello to the year of the snake. In my case, or anyone else who's a "Tiger", this wasn't necessarily a good thing... but more on that later. 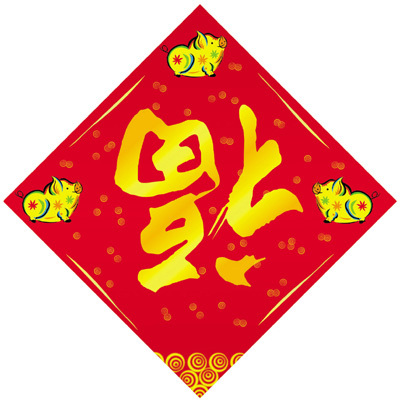 While living in the US, I was aware that the Chinese New Year (CNY) did not coincide with the traditional January 1 New Year's I had always known. I knew there was no countdown or Big Apple drop in Times Square, (or pickle drop if you're from Dillsburg, PA). No New Year's Day full of college football bowl games. And sadly, no Mummers parade! To begin - the basics. Chinese New Year is celebrated on the first day of the Lunar New Year, which is why it shifts a few days or weeks each year. Its literal translation is "Spring Festival" and New Year's Day marks the first day of a fifteen-day festival - the longest on the Chinese calendar. Each day of the fesitval has meaning, and most are associated with family visits and/or prayer to various deities. 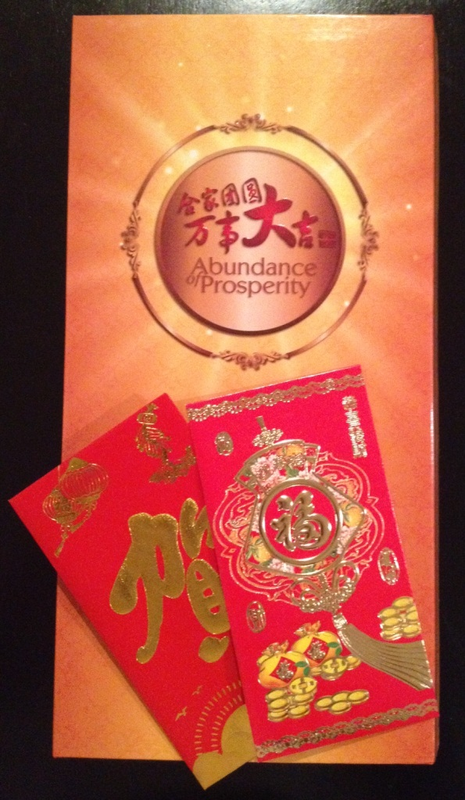 But even before you get to New Year's Day and the 15 days of festival that follows, there are various actions one should perform to prepare for a year of prosperity, good fortune and happiness. Luckily, two colleagues in the office have patiently educated me on the traditions, practices, cuisine etc. 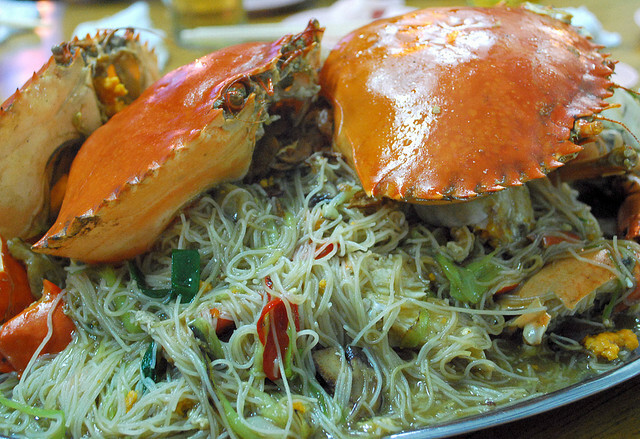 surrounding most Chinese holidays, and CNY is no exception. In the weeks leading up to the new year, local shops - in particular in Chinatown - promote items to recognize and celebrate CNY. These include baskets, lanterns, mandarin orange "bushes" and other decorations for the home. Shops also begin to sell fresh mandarin oranges, which are meant to be presented in pairs to colleagues or friends when visiting and celebrating. (Don't offer one as it's disrespectful, and don't offer four, as the word "four" in Chinese sounds a lot like "death".) Decorative red envelopes are also a common sight. Like many Chinese celebrations, these envelopes are used to present gifts of cash - also to be given in even number denominations. About a week before CNY, you should wear red clothing to work or school. 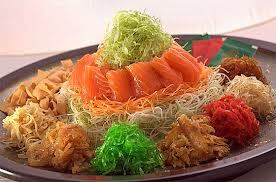 About five days before CNY it is good luck to make a deposit to your bank account. In the last few days prior to CNY, families spend a significant amount of time cleaning their home, sweeping away any bad omens to make way for good luck and fortune. Once New Year's Day arrives (also known as the "first day") families reunite, most often honoring elders by paying them a visit. On this first day, it is important that all the mops, brooms, etc that were used to clean the home be neatly put away, and one should not wash their hair (Thanks for the heads up, Jason. My clean hair will curse me!). 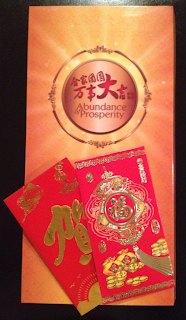 Both are precautions to ensure you don't accidently wash or sweep away the good luck and fortune that has come your way on New Year's Day. On the "second day" families continue to visit with elders and traditionally this day is when daughters would visit their parents (whereas the first day consisted of visits to the husband's family). Interestingly, the second day is thought by some to be the birth day of all dogs - and as such they are offered special treats. 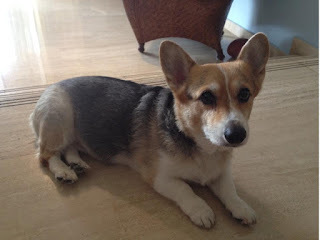 Ironically, this year, our beloved Jessie turned twelve years old on that day, and she was absolutely spoiled with treats! The third day is often the last day recognized as part of the "holiday", and the final day that businesses are closed. It is associated with "the god of blazing wrath" and it is typically viewed as bad luck to have guests or to visit others. I say typically, because Jennifer, the kids, and I were invited to my bosses house with other colleagues (nearly all of Chinese descent) on the third day. So far, I have not felt any "blazing wrath". 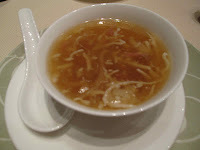 Though Sophia was not real happy with my eating shark fin soup, it was really quite good, and most of the other items I have eaten before. Bee hoon is essentially an asian take on angel hair pasta, and the chicken and whole fish are pretty self explanatory. The cereal crusted prawn was quite good, though it was not shelled - and you had to be careful not to eat a head, though even they weren't too bad as long as you didn't get an eye stuck in your teeth. 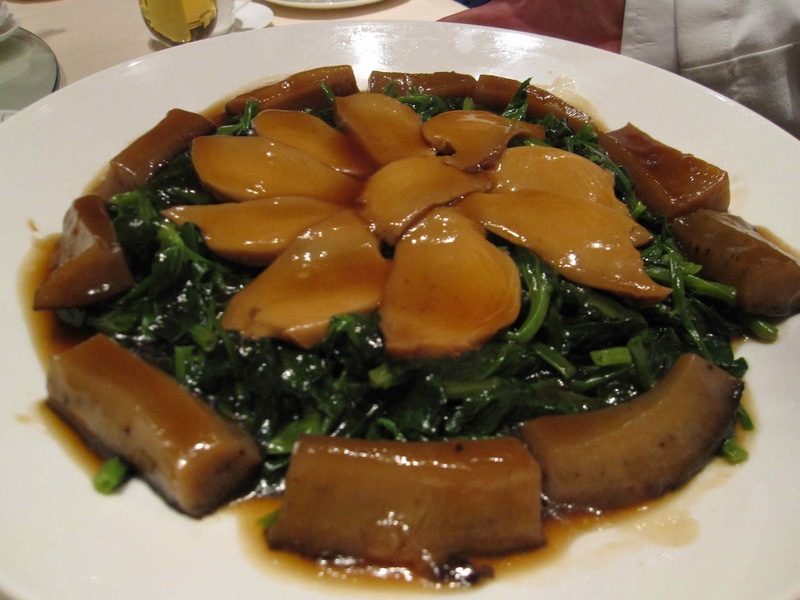 I had never tried the abalone (a variety of sea snail) or sea cucumber, and honestly, I don't know that I ever need to try them again. The abalone was actually much better then I anticipated, but the jelatanous texture of the sea cucumber was pretty much exactly what I thought it would be.....blah! 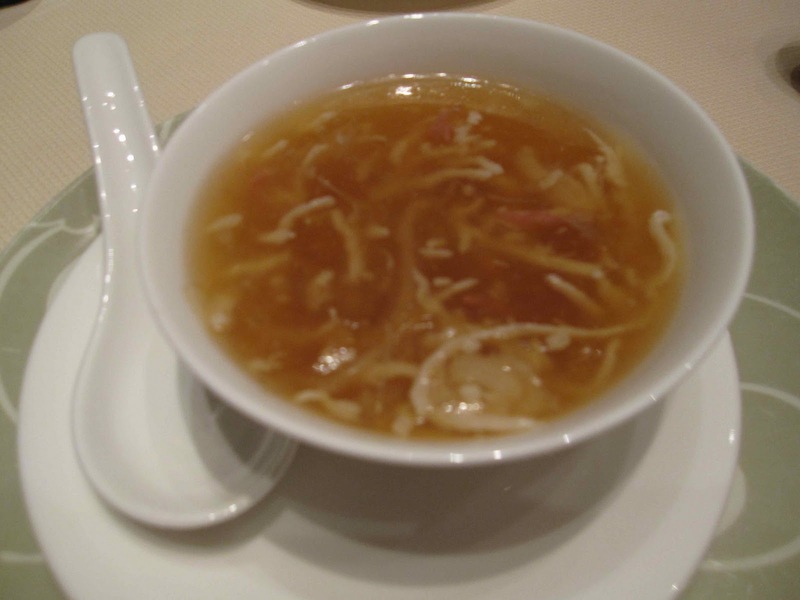 After a few toasts to everyone's health, good fortune and a prosperous year of the snake, we concluded dinner with a very nice apple, pear and grape dessert before heading back to the office for the remainder of the day. Luckily, my Chinese tradition advisers (co-workers), have informed me that something can be done about this conflict and potential bad fortune through a series of temple visits, prayers and feng shui... so stay tuned for next week's post if you want to hear more about it!